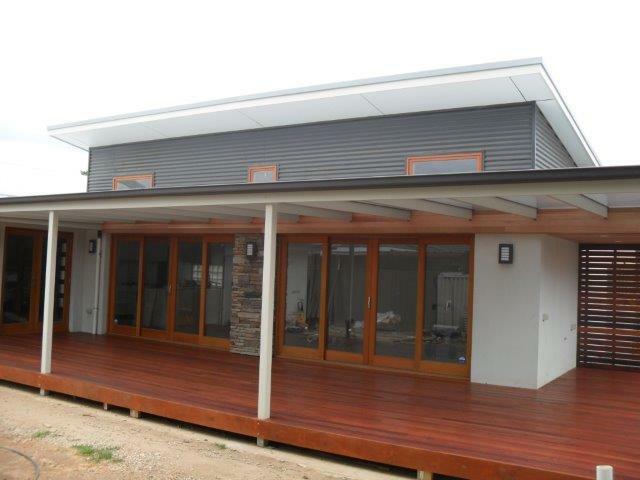 My business "Grant Lucas Architect" is based in Adelaide. Most of my work is in Adelaide's CBD and the environs of Adelaide's Southern and beach-side Suburbs. I also provide a remote Architectural service for Country towns and Rural areas. if you are just interested in having a look at my work rather than fact finding then the following link is for you. 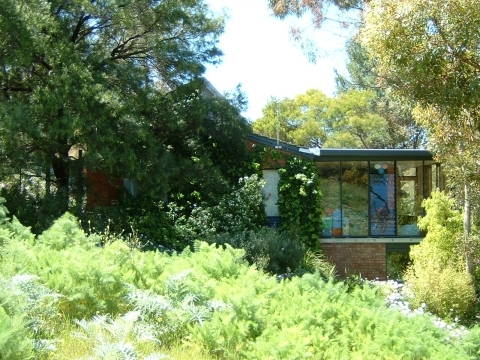 Passive Solar Design principals and sustainability are considerations in all my builds. Reducing your carbon footprint doesn't mean that aesthetics are compromised. How a project looks is very important to me. What is also important is that it still looks good in 10 or 20 years time. Trends come and go, but good design is timeless. To achieve this each project is individually tailored to suit the Site, client brief & budget. I had a trade background before becoming an Architect. If I draw it then it can be built. Since then, more than 10 years of contracting to over a dozen of the leading designers in the Industry means I can design anything for anyone in any style. I have designed Shopping Centres, Banks, Industrial Sheds, Commercial Premises, Residential Care Facilities, Offices, New Homes, Domestic Additions, Kitchens, and Garden Layout's. No job is too big or too small. If you are an Owner Builder I understand what you want and can help you achieve a good outcome. I integrate the landscape into my design whenever possible. Tread softly!! The picture above is what I like... I should, this is my own office. Lots of glass set in a semi-natural setting. I studied Landscape design as part of my first degree (before Architecture) and my favorite places are spaces that blur the boundaries of inside and outside. However..... What I like doesn't matter. You will find no ego here. My work ethic is to provide you with what you want. Many of the buildings I have produced have been Commercial and Industrial. These projects have been driven purely by maximising floorspace and providing car-parking. I understand dollar driven design and can give it to you in a pleasant looking package that satisfies Council requirements. Domestic Architectural Services include full or partial services available for fixed fees or at reasonably priced hourly rates. From concept design to Building Approval I provide as much or as little as my clients want. I cover a wide Architectural range of Residential fields including (but not limited to) Site Inspections, Subdivisions, Heritage work, New Residences, Residential Extensions & Renovations, Granny Flats, Garage Conversions, Cellars, Retrospective approvals, Swimming pools, Landscape and Garden Design. My designs consider and utilize passive solar design, recycling and low embodied energy where possible. I also provide a drafting service for Planning Approval and Development Approval documents as well as a re-documentation service for clients that have tried and failed to get approvals previously. I will work from clients sketches and produce 3D computer visualizations and shadow studies as part of the sketch design process. Remote clients provide me with digital photos of their site and a written brief and I provide sketches and feedback via emails and PDF's. I produce Development Approval Drawings without ever visiting the site, reducing travel time and subsequent costs. This website was initially constructed almost 10 years ago and I apologise in advance that some pages aren't mobile friendly. It is best viewed on a large screen/desktop using Internet Explorer as your browser. Rather than deleting hundreds of pages of useful information about what an Architect does and the Development Approval and building process I have put together a smaller mobile friendly site showcasing my recent work. I recommend if you are just interested in having a look at my work rather than fact finding then the following link is for you.